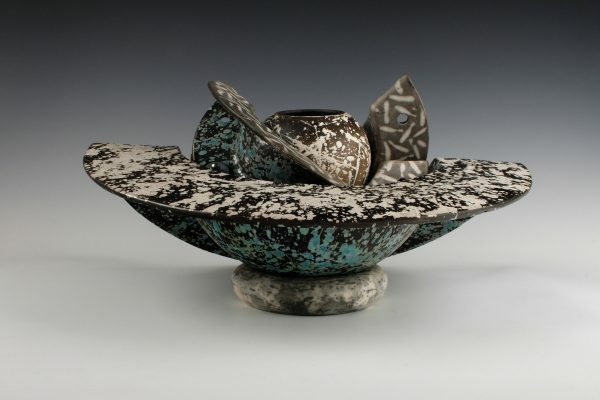 Naturally inspired, abstracted sculptural assemblies in raku and stoneware finishes. Combinant and arrayed components offering a variety of display arrangements both individually and in groupings. A recent evolution are articulated assemblies which can be carefully manipulated into novel shapes, and wall pieces of multiple, individually fired units in tessellated arrangements.